Are you planning to buy a new cell phone? And want your phone to be gorgeous with a high – five camera that has edge-to-edge OLED display, with the A11 Bionic processor that can do forward AI tricks. Then Apple iPhone X is your phone. But you can not buy it because of its price? Then here we have a good news for you. You can buy the latest iPhone device just by Rs 26,700, by using reliance Jio's buyback offer. Reliance Jio is giving 70 percent buyback offer on buying Reliance Jio. If you will use Reliance Jio's buyback offer then Reliance Jio is giving back 70 percent of MRP on iPhone that is almost close to Rs. 70000. Though Reliance Jio is giving you mouth-watering offer, with the offer comes terms and condition. If you want your 70 percent money back then you will have to return your iPhone after a year. And your phone should be in the better condition. Second, you have to recharge your Jio number with Rs 799 tariff voucher of the company. 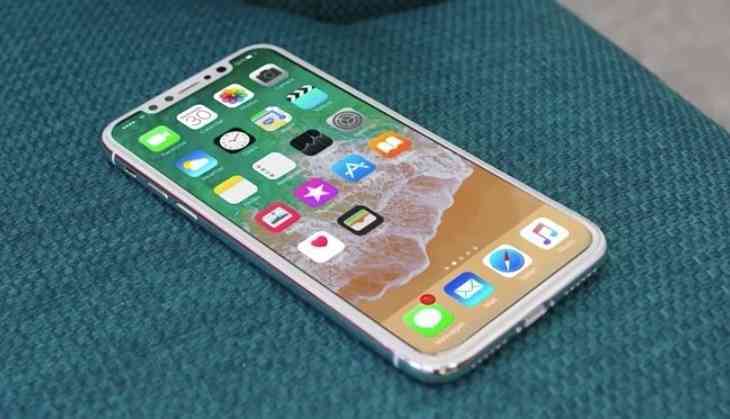 However, before buying the iPhone you need to know that, you will pay the entire Rs 89,000 (or Rs 1,02,000 of you are opting for the higher-end 256GB variant) in one go. You can not pay just Rs 26,700. You will get your 70 percent money back after returning your phone. Step 3: Enter your Pincode and select the number of iPhone you want to book. 1- The Offer shall be open to all Eligible Subscribers on and from September 29th, 2017. 2- These T&C shall be read concomitantly with the terms and conditions of the Jio Prime membership plan and the CAF. 3- Two or more offers cannot be clubbed together. This Offer cannot be used in conjunction with any other alternative offer or promotion of a similar nature. However, the Eligible Subscriber will be entitled to avail the benefits under “Jio Dhan Dhana Dhan”, till such time that it is available. 4- If the Jio MSISDN enrolled with Eligible product doesn’t recharge as per the terms and conditions of buy back offer, the Offer Benefits shall be discontinued. 5- RJIO recognizes that the choice to be contacted for promotional messages and alerts is that of the Eligible Subscriber. RJIO intends to keep the Eligible Subscriber informed on matters relating to the Offer and any upcoming offers from RJIO for the benefit of the Eligible Subscriber. Accordingly, by availing the Offer, the Eligible Subscriber hereby consents to be contacted by RJIO and such consent shall remain unaffected by the Eligible Subscriber’s registration in the National Do Not Call (“NDNC”) registry under the relevant category stipulated therefor. 6- RJIO reserves the right to cancel/withdraw this Offer at any time, without any prior intimation to the Eligible Subscriber. However, the benefits accrued to the Eligible Subscriber on or prior to the cancellation/withdrawal of this Offer, shall not undergo any change. 8- If any term/ condition under the T&C of the Offer is found to be invalid, void, or for any reason unenforceable, such term/ condition shall be severed from the other terms and conditions and shall not affect the validity and enforceability of the remaining terms and conditions of the Offer. 9- Any claims, issues, damages or losses with respect to the Eligible Product shall be the sole responsibility and liability of the manufacturer of the Eligible Product, and RRL, RJIO (including its affiliates, group companies or parent company) hereby disclaims, any and all claims, losses and liabilities, whether or not arising out of, or in connection therewith and/ or this Offer and the terms and conditions governing the Offer. This disclaimer shall apply to the fullest extent permitted by law and shall survive cancellation/termination/determination of this Offer. 10- In no event shall RRL, RJIO or its directors, officers, employees, agents or other representatives be responsible or liable for any direct, indirect, special, incidental, consequential, or punitive damages, or any other damages of any kind, arising out of or related to the Offer. 11- This Offer is subject to guidelines/directions issued by Telecom Regulatory Authority of India (TRAI), Department of Telecommunications (DOT) or any other statutory authority from time to time. 13- In case of any queries/issues, please contact JIO Customer Care at 198/18008899999 or write to care@jio.com. 14- The Eligible Subscriber agrees that he/she has read, understood and voluntarily agrees to the T&C mentioned and stated herein.